NJ Paleo Girl: Citrus Shroom Chicken and Mashed "Taters"
Place the olive oil in an 8x8 baking dish. Place the chicken in the dish and coat both sides with oil. Squeeze the juice of 1/2 lemon over the chicken. In a large skillet, melt the 1/4 cup oil, add the sliced mushrooms. Cook and stir until the mushrooms are brown and have exuded their juices, about 6 minutes. Sprinkle with the arrow root powder and blend. 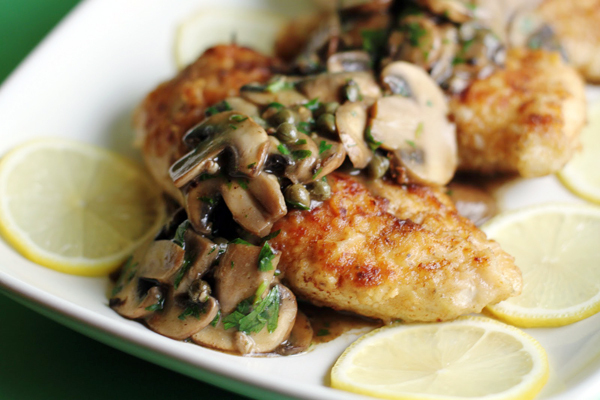 Spoon the sauce over the lemon baked chicken breasts. 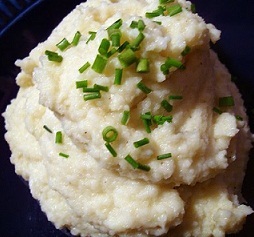 Cut cauliflower into florets and place in steamer. 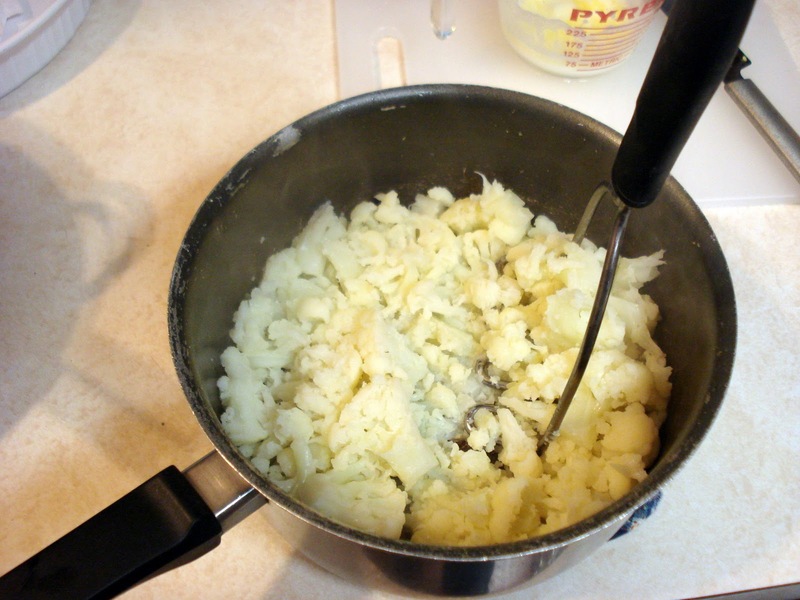 Use a hand-held potato masher or electric beaters (for a creamier consistency) to mash. Add black pepper, sea salt and olive oil as desired.